CES, LAS VEGAS, 5th Jan 2016: Chargifi Ltd, the global leader in networked wireless power, has today announced an agreement with Gill Electronics, Inc to implement its smart gateway to work with Gill’s cutting edge wireless transmitting technology. Chargifi’s global control network allows businesses to provide wireless charging to their customers whilst realizing a measurable ROI, being able to access customer data and analytics, monitor power usage and be used as a promotional and advertising platform. Compatible with Gill’s existing wireless transmitters, the gateway allows these devices to be easily upgraded over the air and gives venues on demand access to real-time reports. The service will be rolled out through Gill Electronics’ extensive distribution network. This deal is part of an ongoing relationship between Chargifi and Gill Electronics. 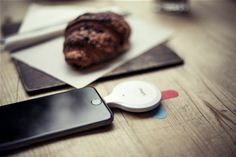 In early 2015, Gill partnered with Chargifi to provide its wireless power transmitters and receivers to allow users to wirelessly charge multiple devices in the same area. The service was rolled out in January 2015. Using the latest charging technology and enterprise software, Chargifi powers devices using magnetic resonance, allowing for greater freedom than traditional charging methods. The platform can also provide a powerful network of management tools for venues to control their wireless charging systems allowing them to clearly measure the return on their investment. From coffee shops, hotels, trains and airports, ‘Chargifi spots’ form a global intelligent network giving people access to power for mobile devices where and when they need it most. Chargifi will be at CES 2016, located at the Westgate Hotel, Suite 410. If you would like to arrange a meeting, speak with Founder Dan Bladen and get a demonstration of their solution, please contact kevin.winfield@jargonpr.com.